How to remove Four virus? Home »	Uninstall » How to remove Four virus? Issue: How to remove Four virus? Can you help me to deal with notifications about Four virus? My browser delivers this pop-up that my computer is infected, but I am sure it’s not true. But how can I stop them showing up in my browser? 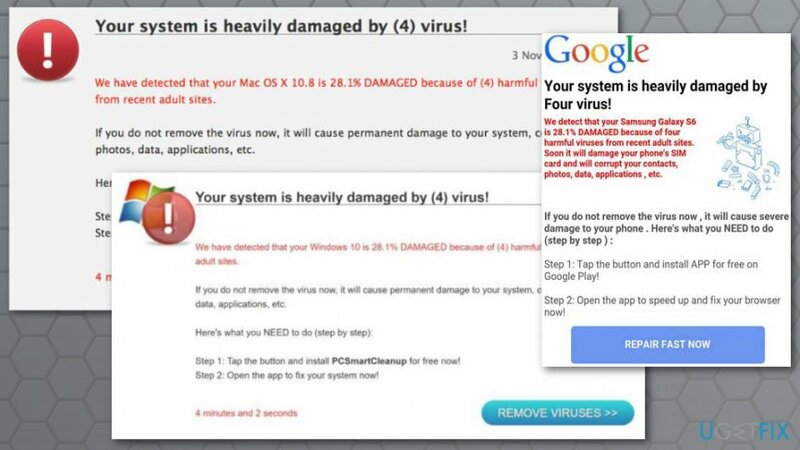 Four virus is an online scam that might show up on the browser in the form of a security alert which warns about detected dangerous viruses. There are a couple of versions of this online scam. However, all of them have the same purpose – to promote bogus security software called PCSmartCleanup. Such activities are often triggered by adware. It’s a potentially unwanted program (PUP) that might get into the computer, laptop, tablet or smartphone when downloading suspicious programs or installing apps outside official app stores. The fake message might seem legitimate. It might use Google, Windows or Apple credentials. Additionally, it includes the model of the device. For instance, it might tell that your Samsung Galaxy or iPhone was infected. This information definitely increases chances that victims of the scam believe in the hoax. Install suspicious security program or application. Run the app and supposedly fix the browser and malware from the device. However, following these steps and installing questionable PCSmartCleanup tool might lead to more problems. The promoted software is useless. It might operate as spyware or help to download malware on the mobile devices or computers. Hence, if your browser keeps redirecting to “Your system is heavily damaged by (4) virus!” site, you should check the system for adware program. Once you uninstall the ad-supported application and eliminate its related components, you have to reset web browser. There are two methods how you can get rid of the Four virus and its annoying activity. Keep in mind that none of them include following instructions in the pop-up window. The first method (recommended) is to rely on security software and scan the device. The second option suggests doing the job yourself. Automatic Four virus removal is the best way to get rid of this cyber threat. It doesn’t matter it was your smartphone, tablet, laptop or computer was infected with malware, all of the versions can be removed within a few minutes with anti-malware software. We recommend using Reimage for virus elimination. However, you can choose your preferred anti-malware/anti-spyware software. Do not forget that you need to use updated security software. To get rid of this cyber threat manually, you have to find and uninstall adware which is responsible for redirects to the scam website. Additionally, you have to look up for other files, apps, extensions, programs and other components related to this potentially unwanted application. Open Start and access Control Panel. 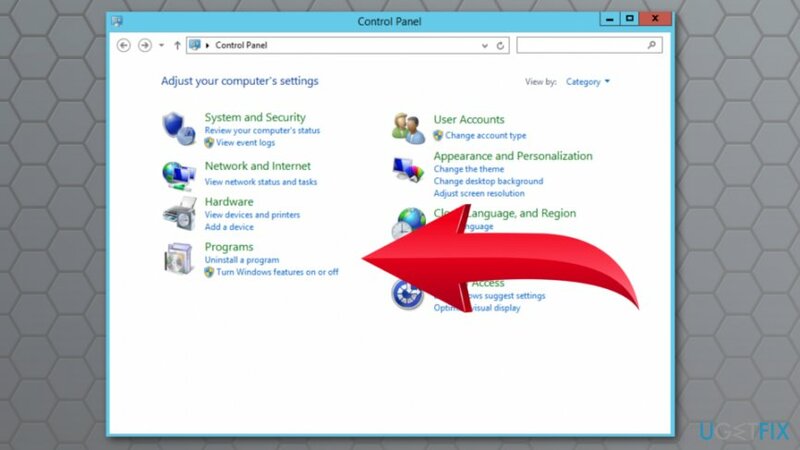 Navigate to Programs (or Add/Remove programs, Programs and Features). Choose Uninstall a program option. In the appeared list, you have to find Four and other related applications. Select them and click Uninstall button. If you cannot find any suspicious programs, check your browser’s extensions. The PUP may have arrived on the system as a browser extension. Hence, you have to check all of the browsers that are installed on your PC. Browser reset is also recommended. Click Go button in the top left corner of the screen and open Applications. In the Applications folder find suspicious applications that might be related to Four virus. 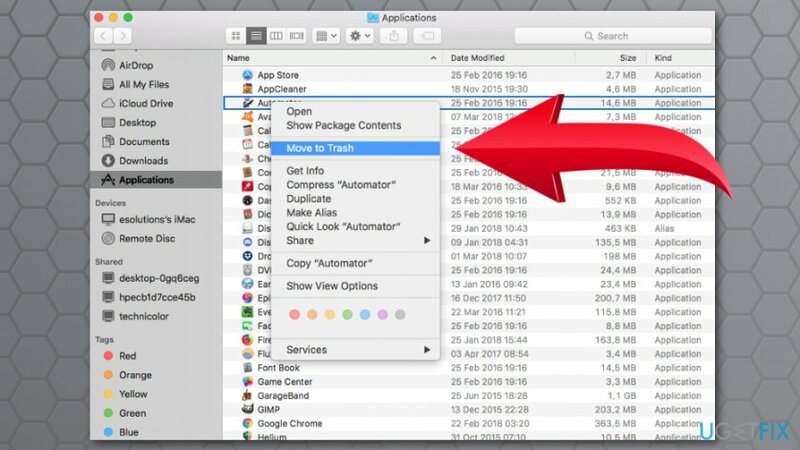 Right-click these apps and choose Move to Trash option. 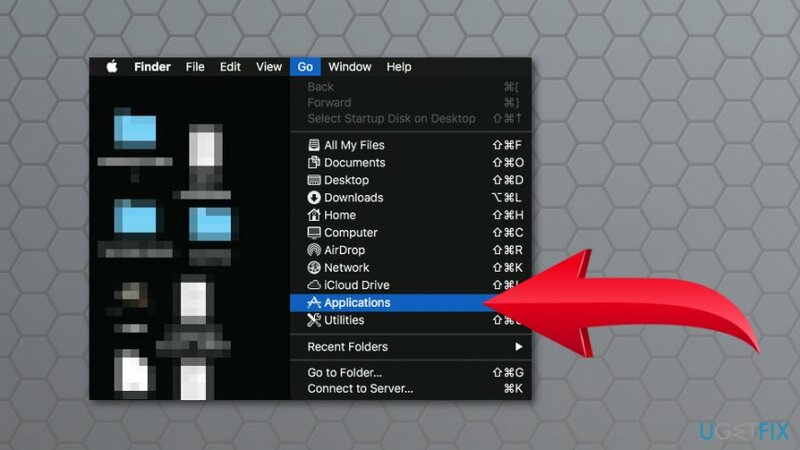 After app removal (or you did not find any suspicious components), you have to make sure that any suspicious extensions were not installed without your knowledge. Uninstall them and reset all web browsers installed on your Mac. ^ Mary Landesman. Top Online Scams. Lifewire. Tech how-to guides and tutorials. ^ Olivia Morelli . How to remove adware. 2-spyware. Cybersecurity and spyware news.